Question: What is your minimum charge? Answer: Our minimum charge is $99. 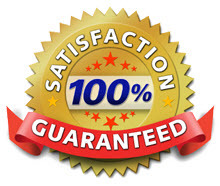 We are currently running a special where $99 gets you 2 rooms cleaned with our full service. Question: Do you offer deodorizer and/or protection for my carpet and upholstery? Answer: Yes. At True Steam INC. we offer an enzyme activated deodorizer which actively seeks out and destroys odor killing bacteria. This is great for anyone with pets, or for those who just want to freshen up the smell of their home. True Steam INC. also offers Maxim Advanced Protection, which can be applied to the carpets after cleaning. This can further increase the life of your carpet by repelling dirt and grease. Question: What is the best way to clean my carpets? Answer: Hot water extraction is the method of carpet cleaning recommended by most carpet manufacturers. This method, also known as steam cleaning, invloves spraying super heated water (around 210 farenheit) under high pressure onto the carpet. Our industrial power vacuum then extracts up to 98% of this water back out of the carpet, leaving your carpets clean and feeling slightly damp. Shampooing your carpets leaves large amounts of sticky chemical residue, which over time attracts more dirt. These chemicals are often harsh and can be toxic to pets and children. Question: What is the size limit for a room? Answer: 250 square feet is our room size limit. Any room over this size will be priced during the pre inspection. Question: How often should I clean my carpets? Answer: We recommend that you get your carpets cleaned at least once a year. Homes with heavy foot traffic, children, or pets may need two or more cleanings a year. Customers who vacuum regularly will extend the life of their carpet in between each cleaning.